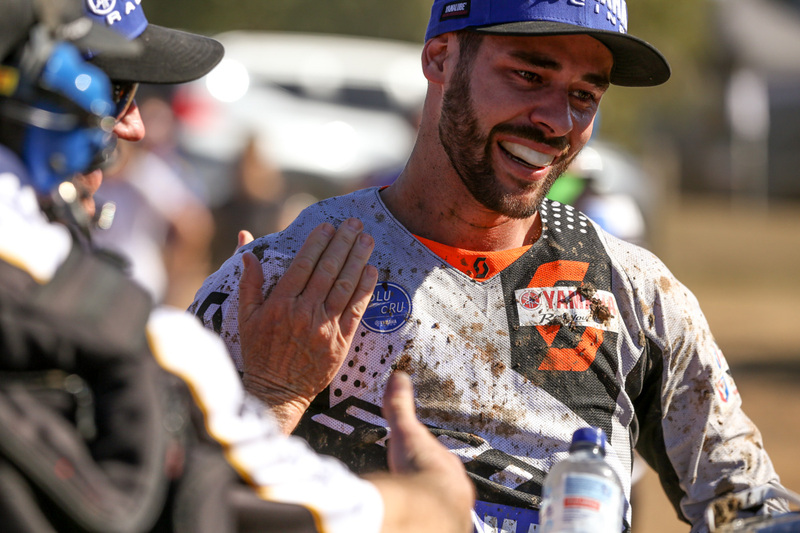 MX2 victor on his emotional win at Gladstone's MX Nationals. 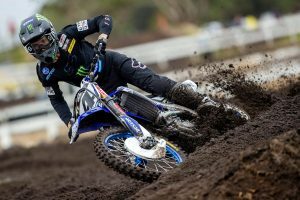 Gladstone’s penultimate round of the Pirelli MX Nationals on Sunday saw Yamalube Yamaha Racing’s Jay Wilson earn his first outdoor victory since clinching the MX2 title in 2015. 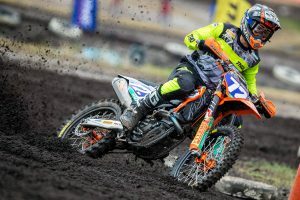 The former champion lodged a 3-2 scorecard in the weekend’s two motos, granting him the win by a slender one-point advantage. In Debrief, we chat to the number six about his emotional triumph in Queensland. Yeah, it was good! I was bit bummed going down in the first moto – I feel like that was a moto I lost and could’ve won. I tried to get back up and going, but I just ran out of time and pumped up in my arms quite quickly – after going down I kind of panicked a little bit, so I just had to make the most of the time that was left. I finally got into a bit of a groove at the end, but by that time there were only three or four laps to go, so I couldn’t really do much with what I had left. Overall it was a good weekend – the second moto I felt I had the speed but it just took me too long to get going again. 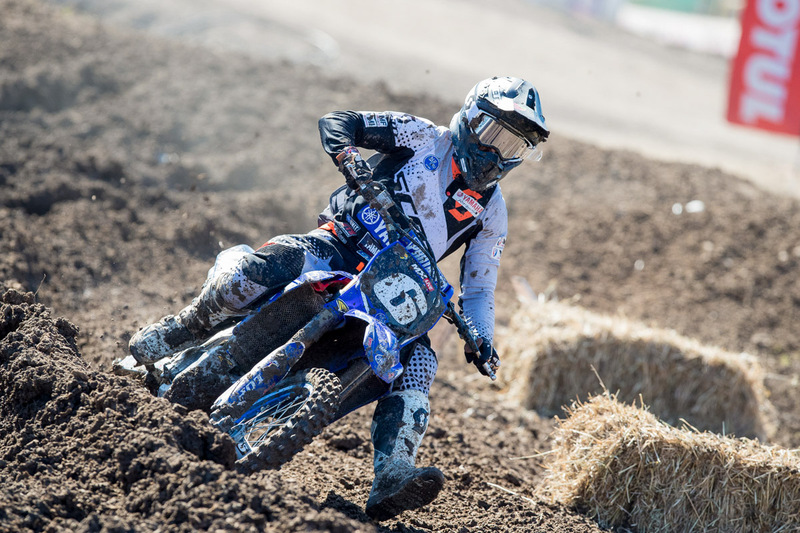 I’m pumped to finally get two solid motos together and be back where I should’ve been earlier in the season – it’s a bit of a bummer it took me so long, but it’s still nice to get it done. Yeah, I lost a close a friend in a car accident at the start of the year, and he was a childhood friend that I grew up racing with. I said that when I get a win that it would be dedicated to him. It’s been a tough year for me dealing with that, and it’s something that I haven’t really spoken out about. I think it’s finally got to me a bit, and it’s also been pretty far between wins, so it was good to finally get that motocross win again. Yeah, that’s really nice of you mate. In that second moto where you were right behind Wilson Todd, especially in the closing stages, and you sort of lunged into the final turn in a desperate attempt to pass. 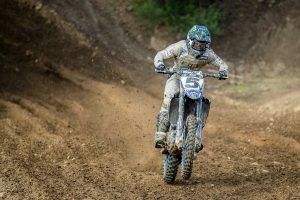 Did you know that you were in a position to win the overall or was the mindset that you had to win that moto? I didn’t know exactly where the positioning was, I knew getting third in the first moto that I needed to try and go 3-1 to get the overall. I saw on the pit board that it said ‘Todd for the win’, so I was pushing for that, but mentally, I think those guys wanted me to do it for myself more or less to get that [race] win than the overall. It’s how we’ve been trying to approach every race – going all out out in every race from now on and trying to set myself up for a day. This year has been about building, and as much as I didn’t really want to accept that and wanted to win the championship again, I’ve had a tough couple of years and I just needed a year to rebuild myself. It’s been a little slower than I expected it to be, but at the moment it’s more about going for race wins – I haven’t got one of those yet but I’ve got an overall – so this weekend will be just trying to get some race wins and taking each moto as it comes. The circuit drew mixed opinions amongst riders, what was your take on racing up in Gladstone? Everybody when they win will say it’s the greatest track in the world, but to be honest, I really enjoyed that track. In 2014 we went there and that was my rookie year in MX2 – I took a win there and ended up on the podium. I think some of our tracks this year have been very basic and not very technical, so it was finally good to get on a technical track – it shows who the good riders are a bit more, and when it’s tough and rutty like that, it’s true motocross. When I started in Under 19s, we were the mud sweepers – we’d go out and come in looking like we were in for a mud-fest of a day. We’ve been coming off the track lately and it’s been prime time after practice and we’re setting fast times – and they’re some of the fastest times of the day aside from the 450 guys. I think this round really showed a technical track – in the morning it was muddy and everyone was hating life, but it created a good track that actually had some passing lines for once. Some tracks have been basic and one-lined. The technical tracks just really separates the men from the boys. Obviously the series is headed to Coolum this weekend, and it’s a track we’ve seen you perform strongly at before. Is the goal to work your way into the top three/four in the championship standings? That would be awesome – that’s been the goal since we’ve had a couple of hiccups throughout the year. Hamish [Harwood] has been riding really well and he’s been quite consistent – the points difference is quite big now, but anything can happen and I’ll go out, do my best and try to maximise the points I can get.